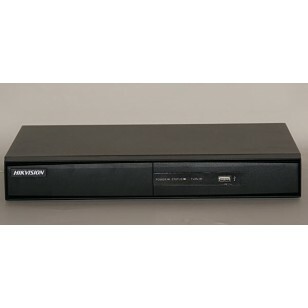 HIKVision DS-7204HGHI-SH New DS-7216HQHI-K1 model Full High Definition Recorder, easily connect your old analogue cameras, the latest High Definition cameras AND one extra IP Network camera, all on this one fantastic recorder. It also has P2P and DDNS built-in, so you no longer need a static IP address. This version comes with a large 1TB Hard drive. This recorder even works with 3G Routers. This is out most popular recorder and it's easy to see why - Full HD, quality build, big 1TB Hard Drive, easy to use and brilliant free remote access software. 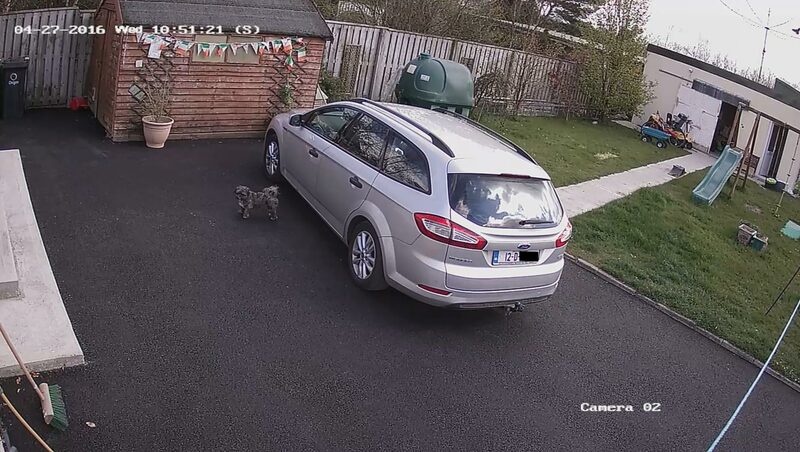 Free Mobile app, view your cameras on a smartphone, tablet or PC, anywhere in the World. H.264+ compression gives more than twice the storage capacity. Equivalent to 2TB in non-H.264+ DVRs. 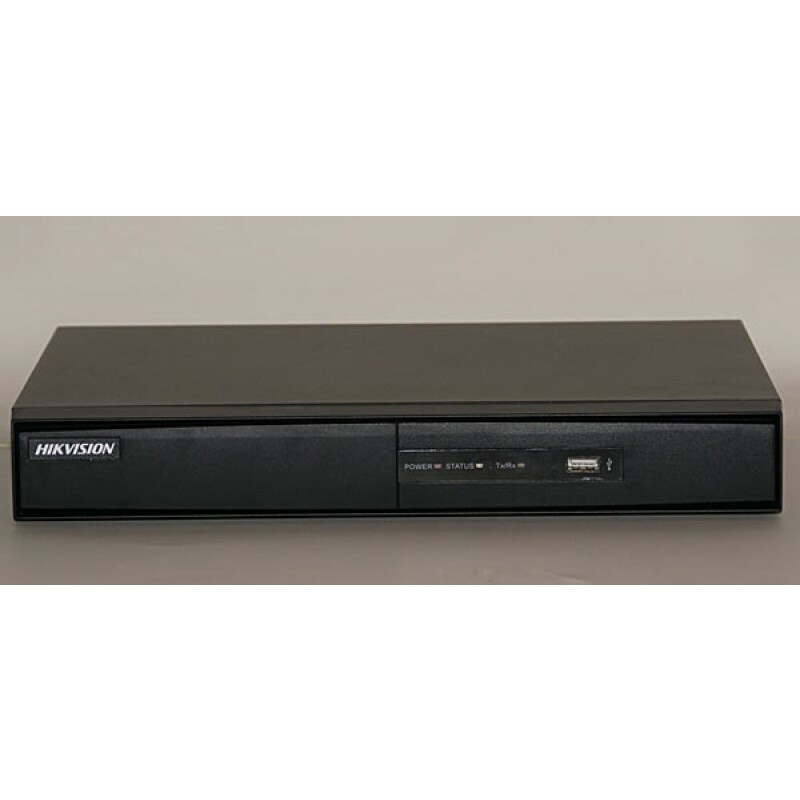 HIKVision DS-7204HGHI-SH DS-7204HQHI-F1 Full High Definition Recorder, easily connect your old analogue cameras, the latest High Definition cameras AND you can also add 1 extra IP Network camera, making this a very versatile recorder. It also has P2P and DDNS built-in, so you no longer need a static IP address. This version comes with a large 1TB Hard drive. You need this large Hard Drive because the High Definition footage takes up a lot more space than traditional non-HD recorders. More than one month's recording when set to 12 fps, motion detection, with H.264+ compression enabled. This is the incredible DS-7204HGHI-SH DS-7204HQHI-F1 Full High Definition Recorder with stunning 1080p High Definition output. A Great 4 Channel Recorder from the well known HIKVision Manufacturer. This CCTV Recorder is capable of recording at 25 frames per second at 720p HD quality, which is a High-quality standard, giving very sharp images. It also has a built-in HDMI Output, displaying a 1080p High-Definition picture on your big-screen TV for ultra-sharp viewing. Or you can simply plug it into any modern VGA monitor for ease-of-use. This is one of the only DVRs in this price range to have all this and PTZ capability, so you can happily zoom in your PTZ cameras using the recorder controls, or remotely over the internet using your PC, laptop, Mac or Smartphone. (You need to have a PTZ camera to do this). Yes, you can use this recorder to view your cameras on your smartphone or other device anywhere in the world. 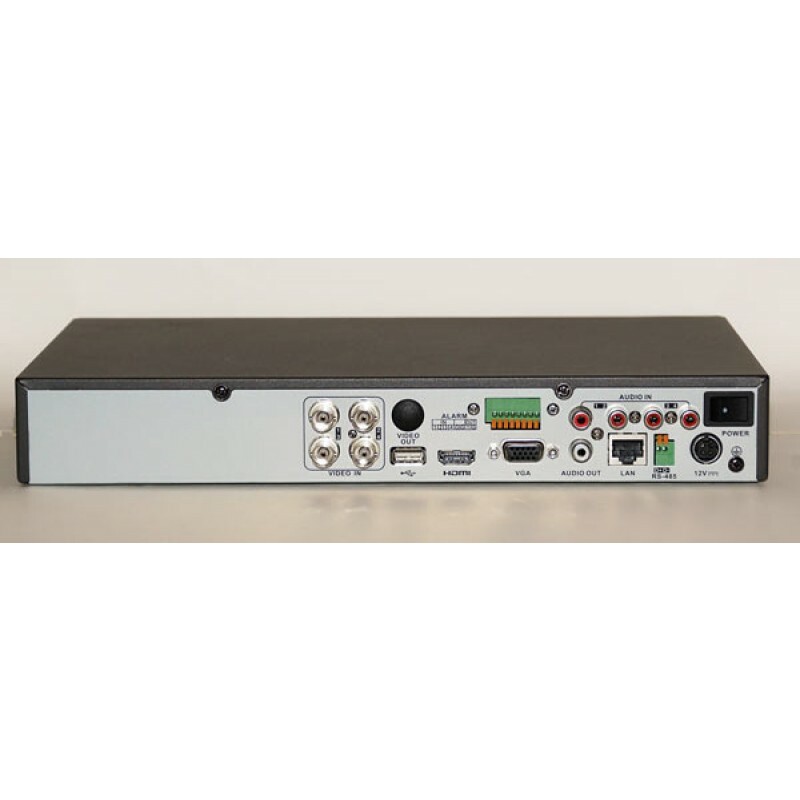 This is our most popular 4 channel recorder and it's easy to see why. It can take the older analogue cameras used in just about every CCTV system in the past fifteen years. It can also take the latest Full HD TVI Turbo cameras for incredible super-sharp images. As an extra feature, this recorder can also take one IP camera as well as the four HD Turbo cameras, that's a total of five. We use Western Digital Hard Drives that are specially designed for CCTV recorders. This Recorder benefits from an excellent TWO YEAR WARRANTY.